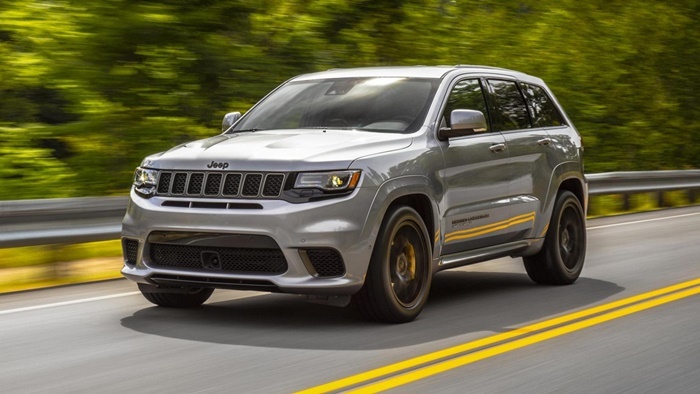 Hennessey's new Trackhawk has steamrollered into this list. But where? 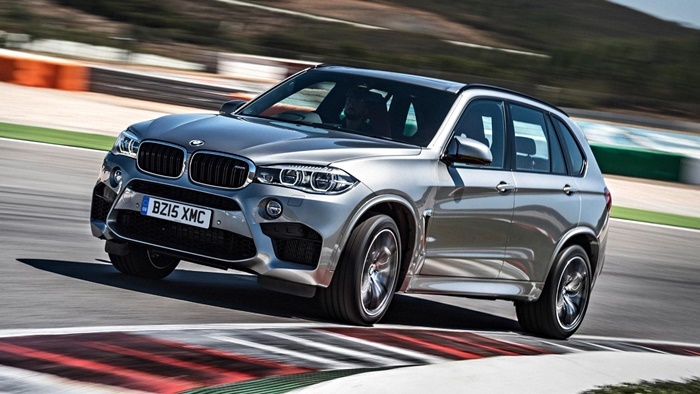 The most impressive thing about BMW’s X M cars isn’t their power, the speed or they way they look. 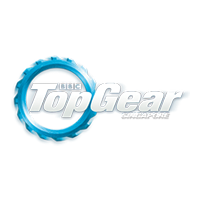 It’s that, more than any other car, they unite other motorists in unparalleled, possibly unjustified, displeasure. Quick, though. 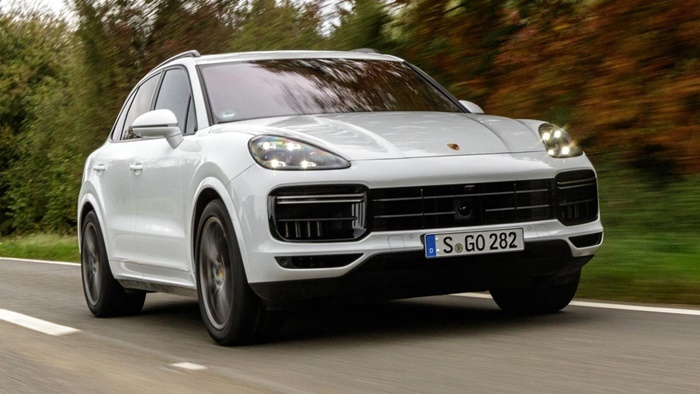 New Cayenne Turbo is as fast as the old Turbo S, which bodes most excellently for the future. And we wouldn’t be surprised if that number was a bit conservative. As is Porsche’s way. Jagaur seems intent on stuffing its rather good 5.0-litre V8 into most everything it makes. This is fine by us. 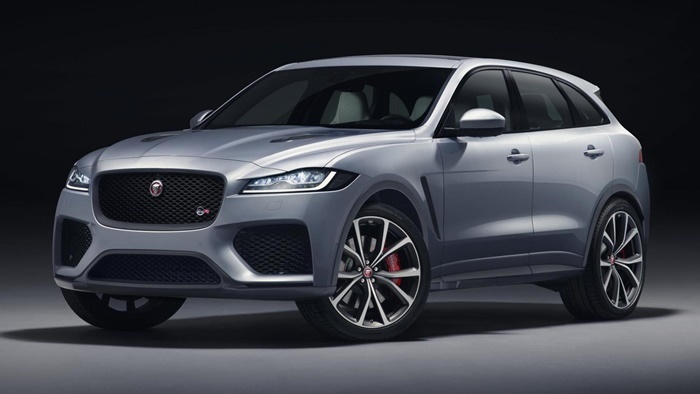 In the F-Pace you get 542bhp and an adequate 284km/h. 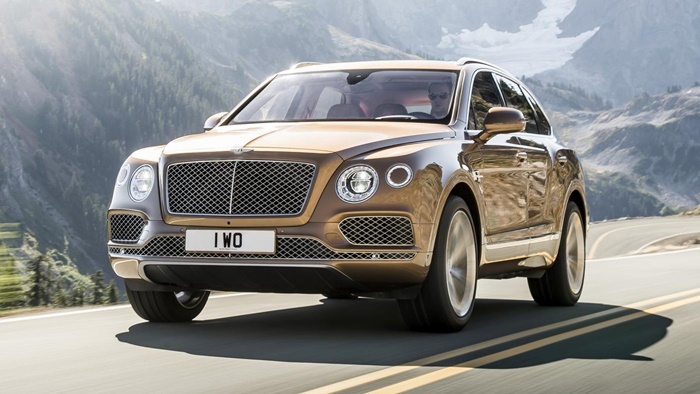 With 600bhp on tap, Bentley claims the unfortunately-named, W12-engined Bentayga is good for 300km/h. No wonder Mrs Queen of England is said to have got the first car off the line… Cheaper, V8 and diesel-engined Bentaygas still hit 100km/h in sub-five. Impressive. 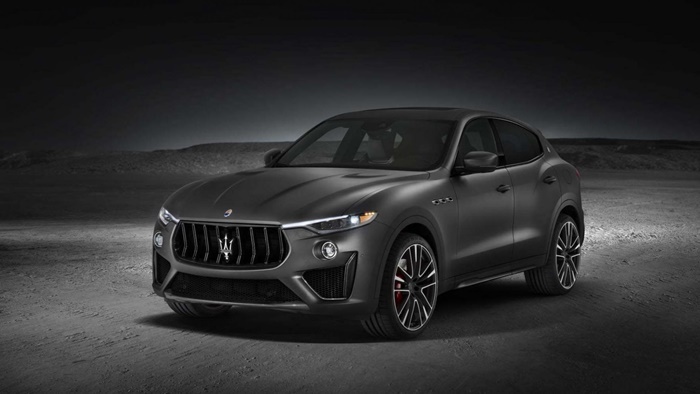 Finally - the Maserati Levante gets a V8. The 3.8-litre biturbo is built by Ferrari, and makes 582bhp and 730Nm. 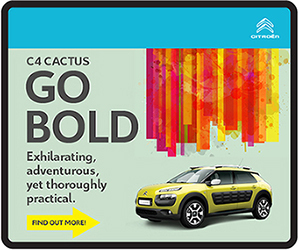 Top speed is said to be ‘north of 300km/h’ – making this one of the fastest SUVs you can buy. Bigger and heavier than the C 63 on which it’s based – but no slower. 503bhp tends to overcome such issues as ‘weight’ and ‘physics’ without too much bother. 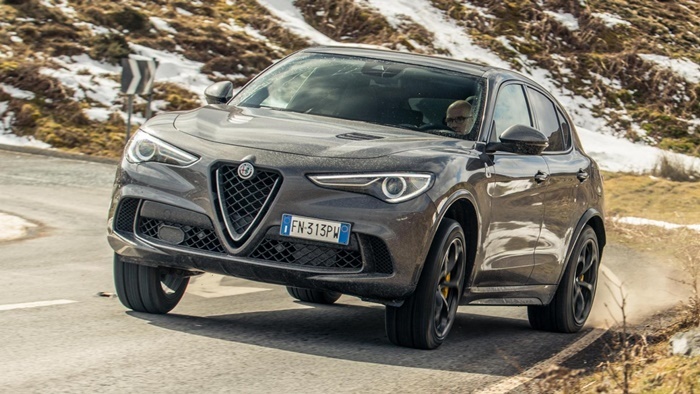 Same 2.9-litre twin-turbo V6 as the Giulia QV means the Stelvio QV is indeed brisk. 0-100km/h in sub-four brisk. 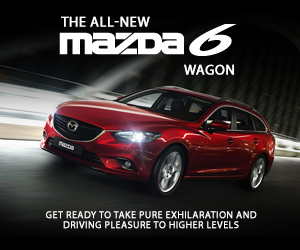 0-160km/h in less than nine seconds brisk. BRISK. Many years coming. And now that it’s here, a Very Big Deal indeed. Sadly no V10 or 12, but a 641bhp version of the twin-turbo 4.0-litre V8 (as seen in Bentleys, Audis and so on) means not only 3.6 to 100km/h, but 305km/h top end. 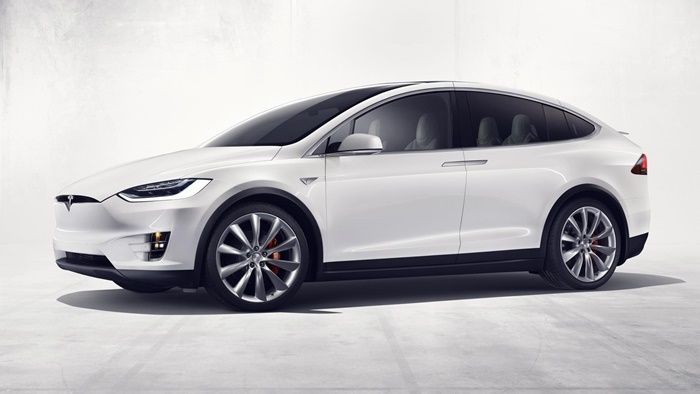 Even without ‘Ludicrous’ mode, the Model X 100D will still hit 96km/h in under five seconds. 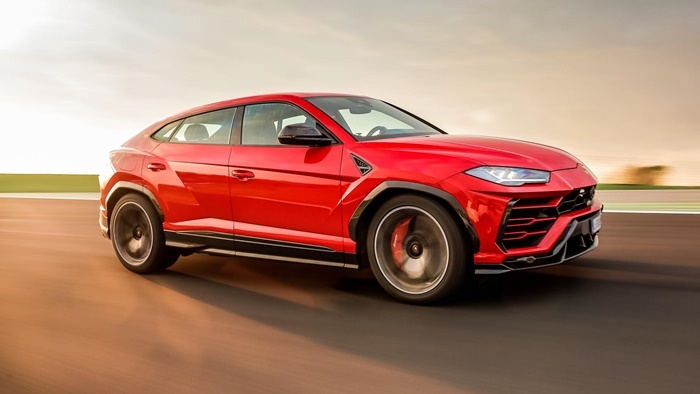 But if your children DEMAND more performance, at a cost of almost a whole Porsche Cayman, buys you a fraction less range but a whole lot more SPEED. And a little P on the boot lid. OK, so this is a 0-96km/h time, not a 0-100. And that time was set in a car fitted with drag tyres. But we’ll let it slide because the Trackhawk is a hell of a thing, even before Hennessey has his way with it. 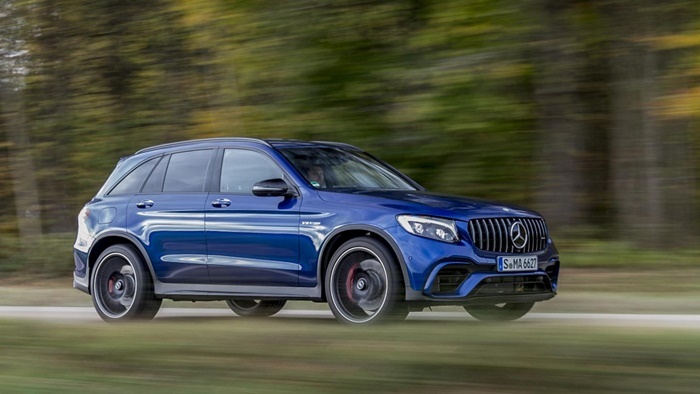 The ‘standard’ car is already the fastest-accelerating, internal-combustion-engined SUV with a 0-96km/h time of 3.5secs, but more than 1,000bhp from the 6.2-litre s’charged V8 means Hennessey’s is over a second quicker.